There is this phenomenon going on in the consumer brands world. They usually tend to pick up the one brand that they are always satisfied with. Hardly, anyone likes experimenting. This behavioral pattern enables repeated purchases thus increasing the stability of the company. There are many brands in India which have become a household name through many decades. The country’s consumer brands are also considered to be one of the fastest growing economies in the world. Below is the list of the top 10 consumer brands in India that has become a part and parcel of most families in India. 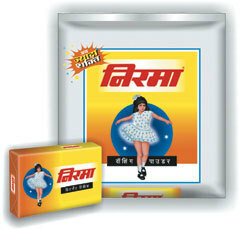 Nirma was started by Karsanbhai Patel in Ahmedabad in 1969. It is rated as one of the largest manufacturers of products like cosmetics, soaps, detergents, salt, soda ash, LAB and Injectables in India. The company has been able to penetrate into both the rural and urban market in India. It employs over 15000 employees and sees a turnover of over 3550 crores annually. Brooke Bond was founded by Arthur Brooke in 1845. It was only after 1870s when the company started expanding into international markets. It has been providing quality tea to its customers across the globe. 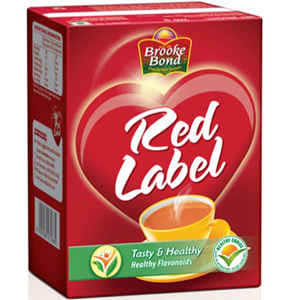 Brooke Bond is available in variants like Red Label, Red Label Natural Care, Red Label Dust and Red Label Special today. Parachute, the Indian consumer goods company is an extension of Marico. It provides its service in the areas of Health and Beauty. 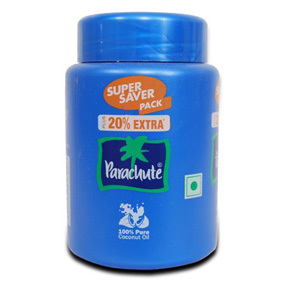 Parachute is an edible coconut with products like Parachute, Parachute Advanced, Saffola, Nihar, Hair & Care, Mediker and Revive that is common in almost every Indian household. 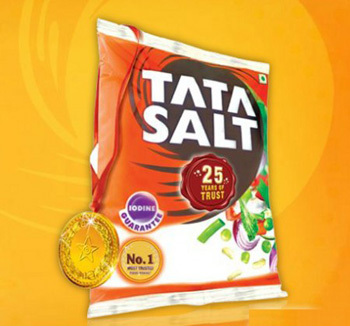 Tata salt was first launched in 1983 by Tata group of companies and became the country’s first packed iodised salt brand with the market share of 17 percent. The market share of Tata salt is estimated to be worth 21.7 billion in India. However, this brand is given a neck to neck competition by other reputed salt brands like Annapurna, Captain Cook, i-shakti, Nirma Shudh and Aashirvaad. 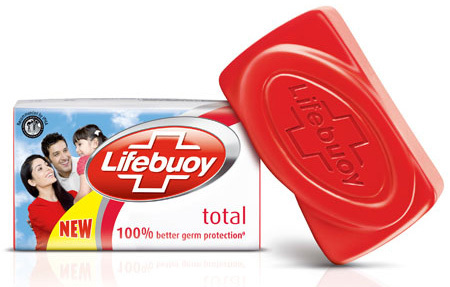 Lifebuoy was marketed Lever Brothers in 1895. The soap brand has been able to make a difference by creating accessible hygiene products along with healthy hygiene habits. 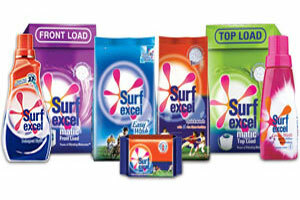 Surf is one of the largest selling laundry detergents manufactured and sold by Unilever. This brand has been able to win the hearts of millions today. It hit an instant popularity with its classy tagline ‘Daag tou achay hotay hain/Dirt is good’. The philosophy behind it was to ensure child development through tactile learning. The brand has been effectively working to build awareness on the importance of child learning through experience. 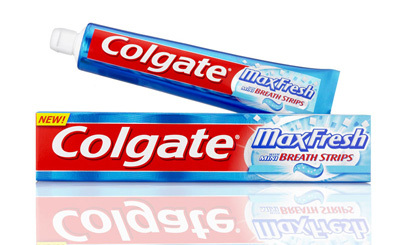 Colgate was incepted in 1896 and was the first toothpaste to be sold in collapsible tubes. The brand came to the Indian market in 1930 and has been well accepted in both rural and urban areas ever since. Colgate also ranks 17th in the list of most trusted brands in India. 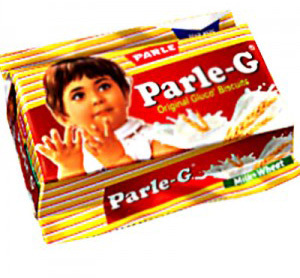 Parle is associated with popular products like Frooti, Appy, LMN, Hippo and Bailley. It has been the largest manufacturer of biscuits and confectionery since its inception. Parle is also the only Indian consumer brand that has been successfully able to penetrate into the country’s remote villages. The company was founded in 1929. It hit the fifth gear by launching Parle-G biscuits and Thums Up in India. Maggi is literally the genuine brand that serves a protein rich instant meal. It came to the market in 1872. The brand was first introduced in India by Nestle India chairman and managing director, Carlo Donati in 1980s. It did not take long to win the heart of the Indians. 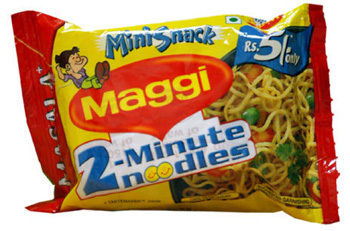 Today, Maggi boosts of the highest number of sales in India with annual revenue of 160-170 crore. Lux is one of the largest FMCG companies in the world that is under the flagship of Hindustan Unilever. This Anglo-Dutch counterpart was launched in India in 1929. The brand is closely associated with women and beauty. The first commercial featured actor Leela Chitnis with the popular slogan ‘the beauty soap of film stars’. According to researches, there are about 63.1 percent of Indian families who opt for this product in India today. Lux is manufactured in 71 locations with more than 2000 suppliers across the world.